With summer comes slithery creatures that will be lurking in your homes and gardens. Don't panic! This guide will help you identify who they really are. There's nothing better than enjoying the warm summer sun during the festive period, but with the heat comes snakes who are looking for warm places to soak up the sun, to search for food, and to regulate their temperatures. Read: This video of a snake vomiting up another snake will freak you out! Snakes love to bask in sunny patches so they absolutely love the warm East Coast weather during December. If you're not a lover of the slithery creatures and find yourself in a flat-panic every time you see them, then this video has come at the right time. Read: Plot twist! Captured snake rescues itself! 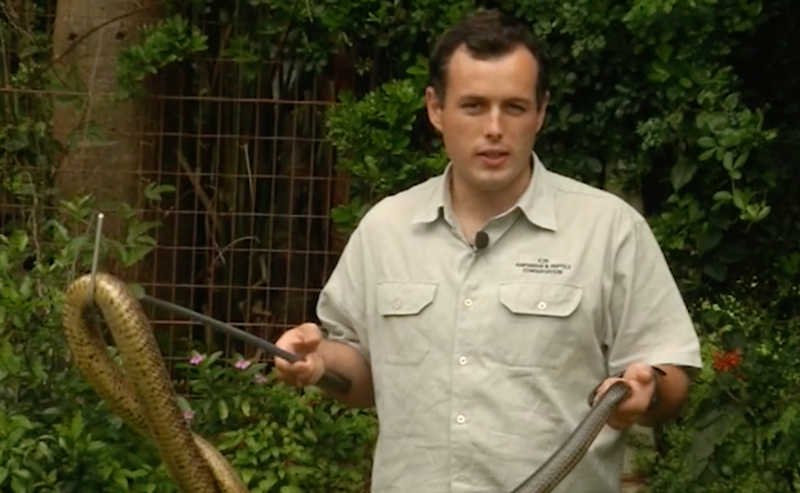 We managed to catch up with Nick Evans, a popular snake specialist, to find out more about the common snakes in KZN and how to identify them, so the next time you encounter one of these slithery creatures, you'll know what to do.